A car bomb killed at least 43 civilians and wounded dozens on the Syrian side of the Bab al-Salama border crossing with Turkey on Thursday, a monitoring group said. Women and children were among the dead in the blast in an area used as a car park, the Syrian Observatory for Human Rights said, updating an earlier toll of 29. Gruesome photographs posted online by activists showed shocked men standing over charred, blackened bodies, some missing limbs. A video of the scene posted on YouTube showed smoke rising from the tangled remains of a blown-up car and luggage lying abandoned amid the chaos. The area around the crossing has been targeted by car bombs before. 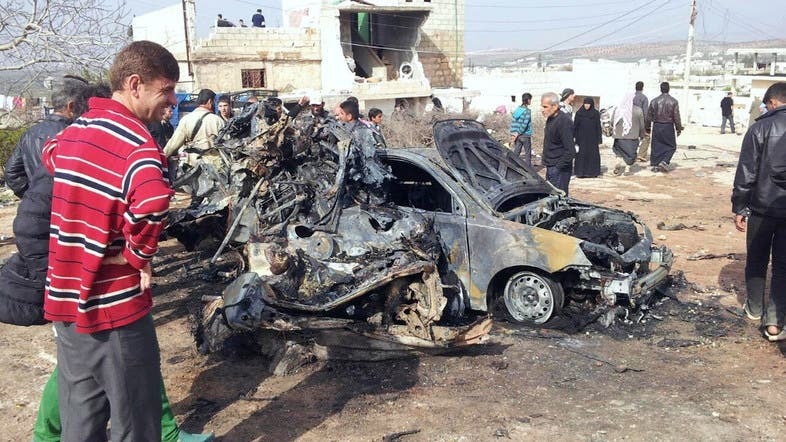 In February, a blast on the Syrian side killed six people and wounded 45. The Syrian side of the crossing is under the control of Islamist rebels who have been battling jihadists from the Islamic State of Iraq and the Levant since early January. Other border crossings between Turkey and Syria have also been targeted, including the Bab al-Hawa post in the northwest, where two suicide bombers killed 16 people in January.